Description: Ready, steady, rock! Create your rock style for our rebels girls. Play with the combination of clothes and create the best outfits, and then accessorize them with a guitar. 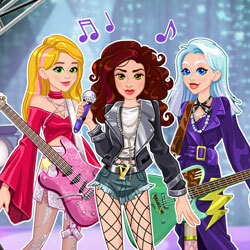 Prepare to rock the stage with awesome outfits!